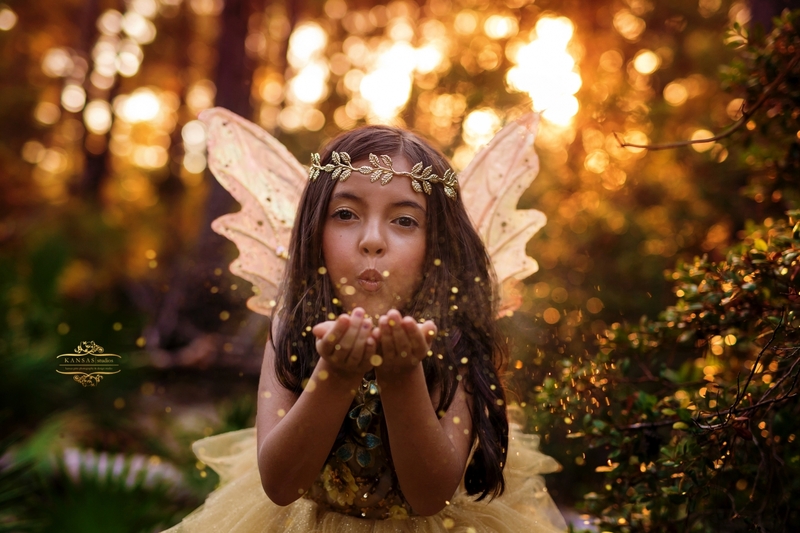 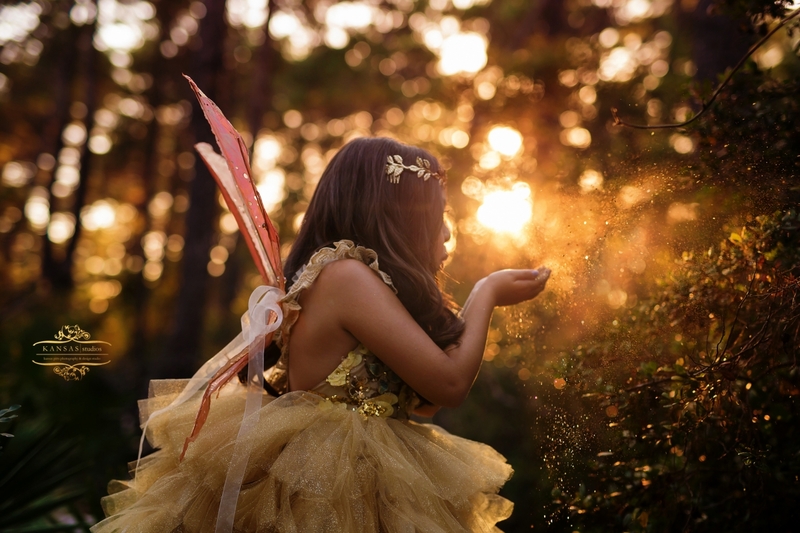 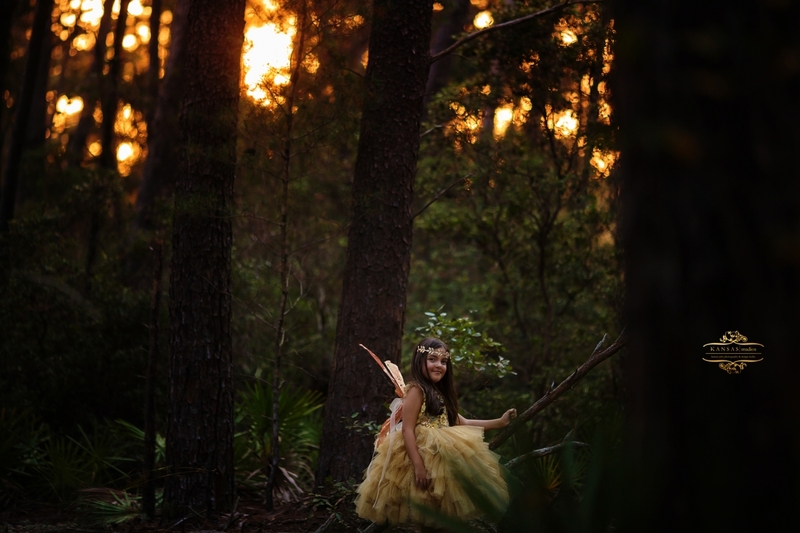 Deanna is my amazing hairdresser (look her up – she rocks, at Ya-Ya’s in Destin)…she saw some of the images from The Neverland Retreat I attended in Lake Tahoe this past summer and fell in love with the fairy concept. 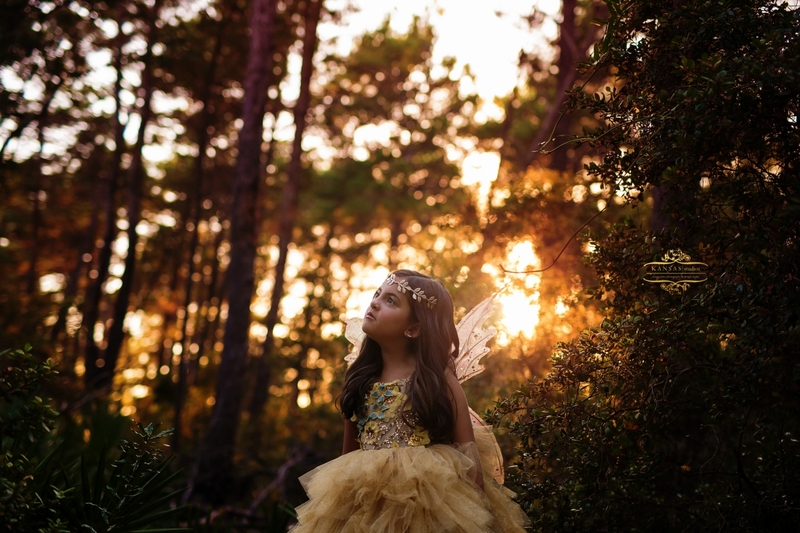 I had a gorgeous dress from Anna Triant Couture that was the most gorgeous gold and I knew it would look amazing on Ava’s dark olive skin. 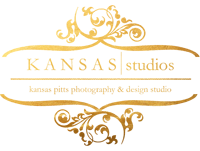 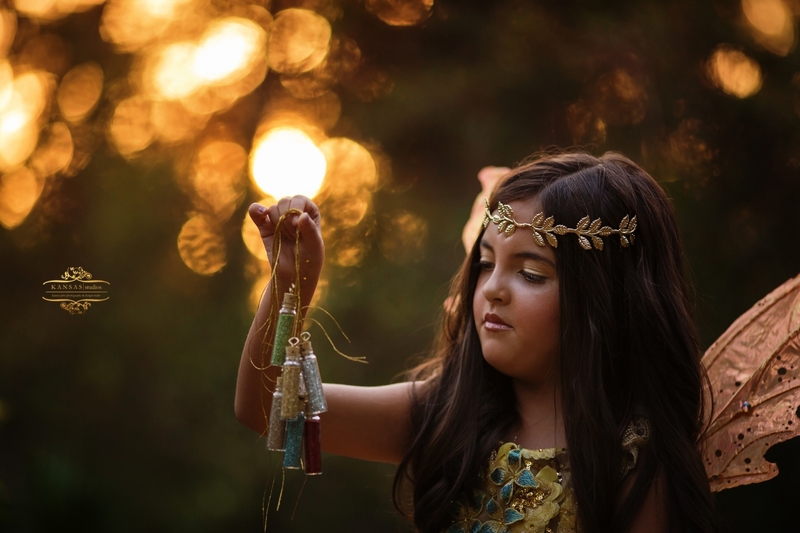 I then ordered some gold fairy wings to match and we topped it off with a gold leaf head piece I picked up at Michaels. 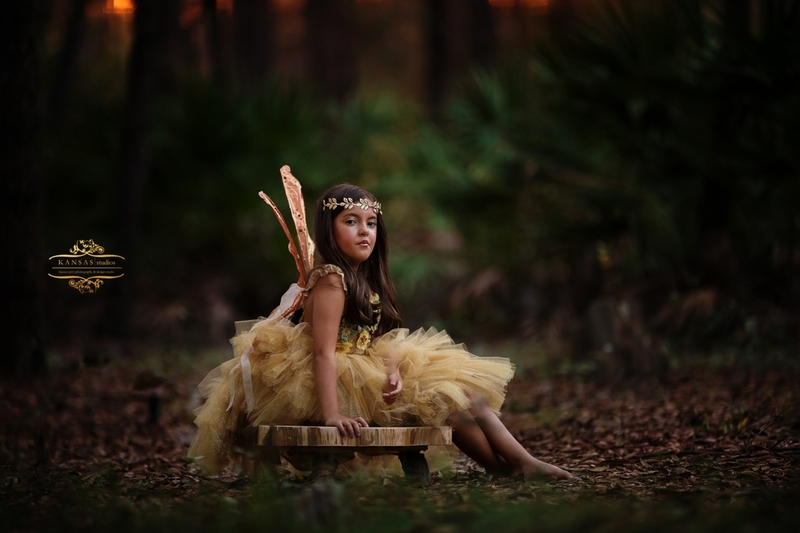 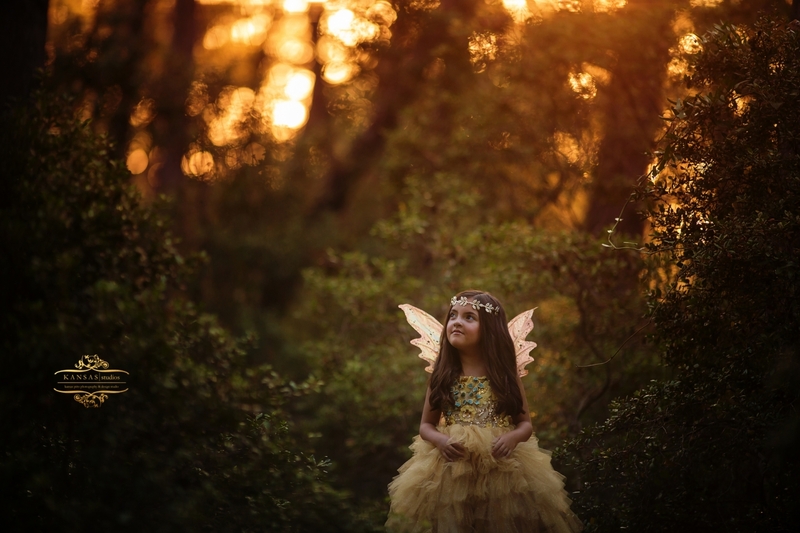 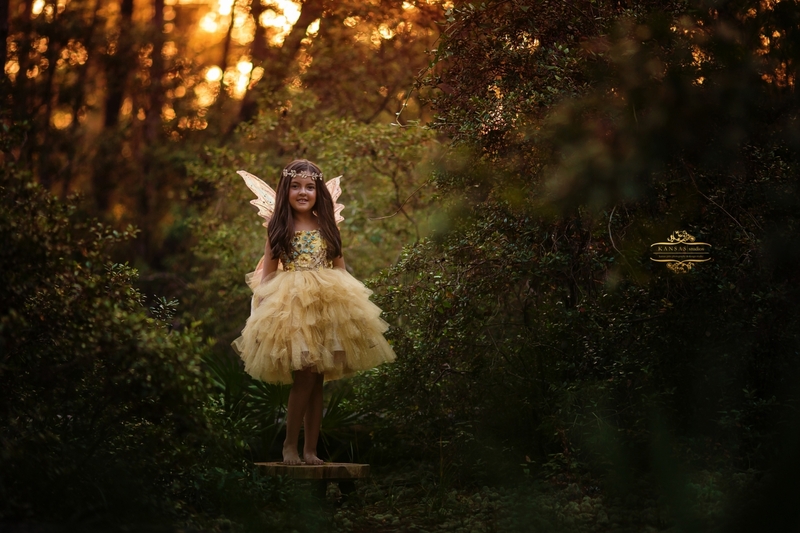 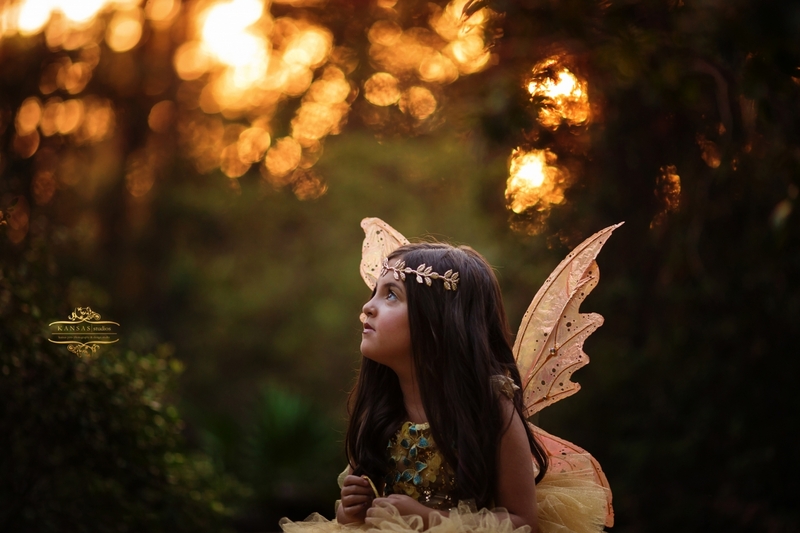 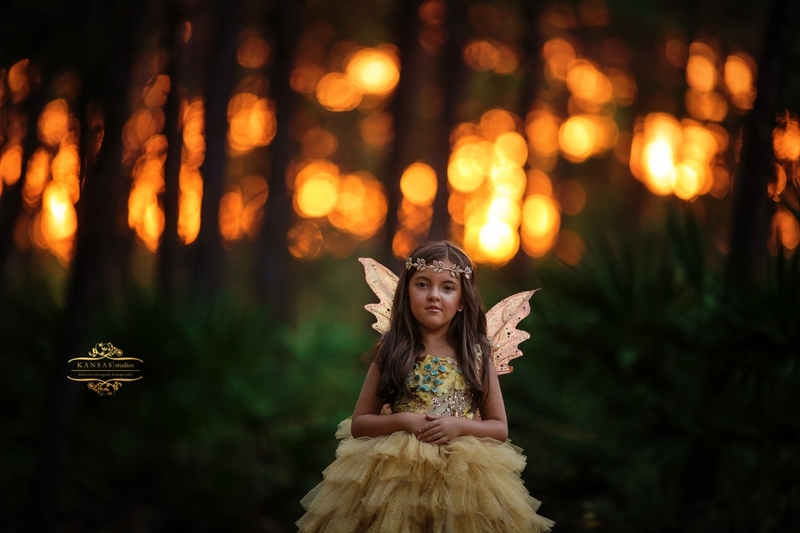 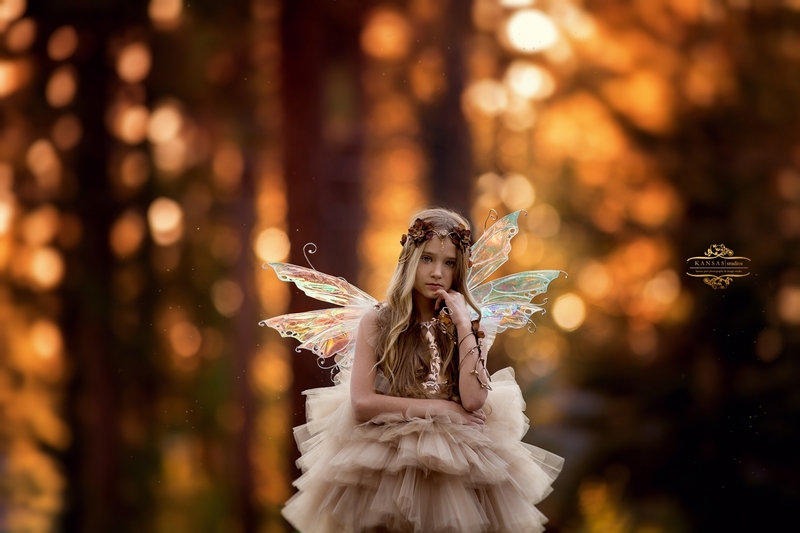 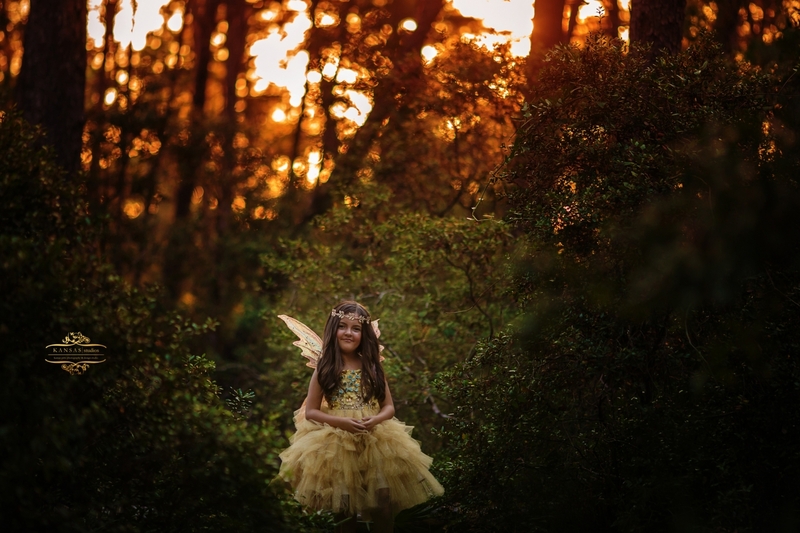 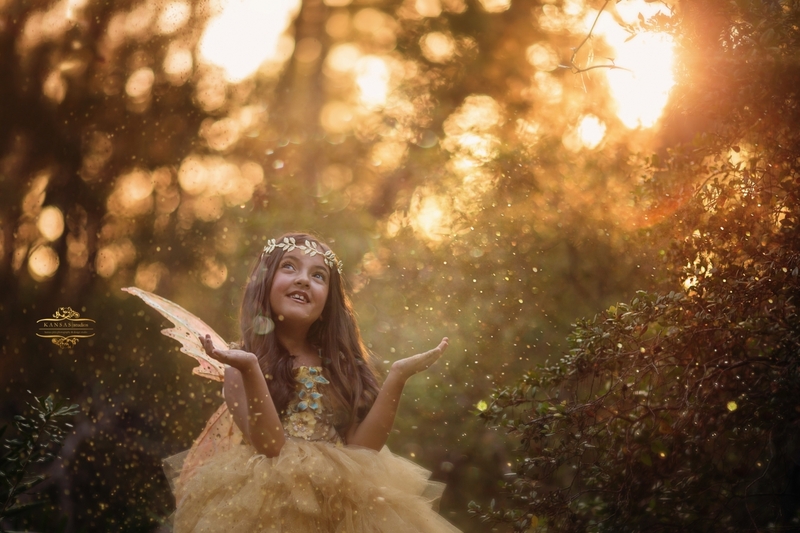 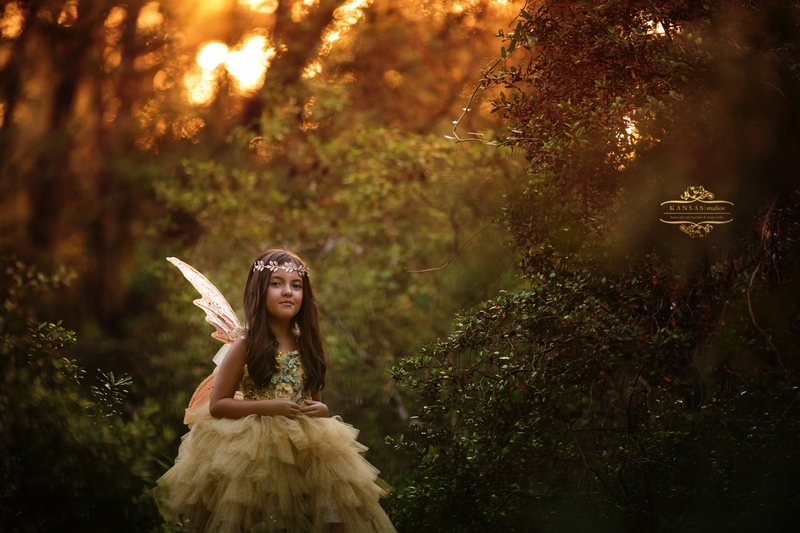 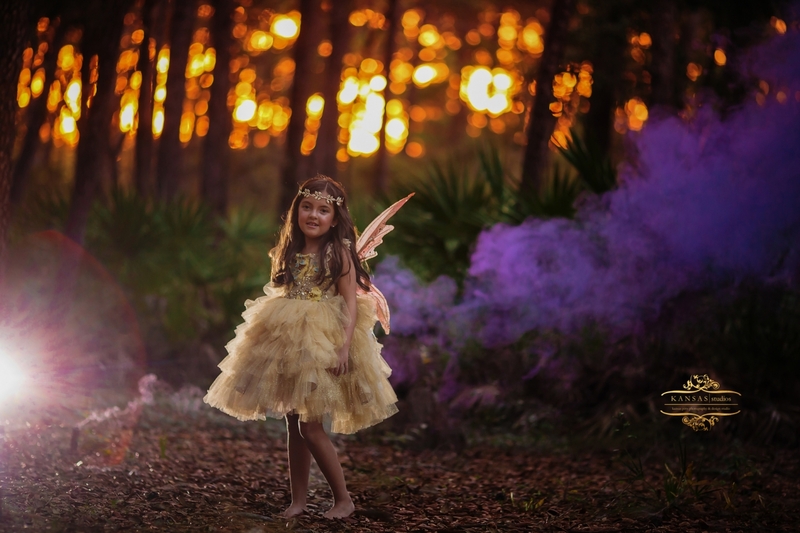 The light and the colors in the woods for this fairy session was just perfection! 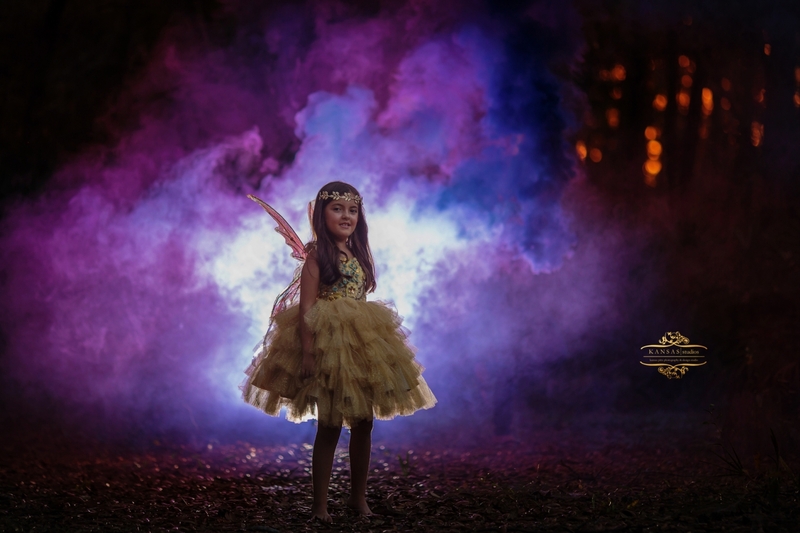 Interested in your own styled/themed session?